Want to learn the best ways to rank in 2019? Want to learn how to get more sales and more reviews? 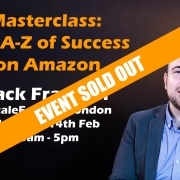 Zack will explain the breadth of success factors on Amazon: research, copy writing, packaging, launches, ranking and reviews. Not quite every letter of the alphabet, but a comprehensive toolkit nonetheless! 🔸 How to know every move your competitors make, how to steal their customers and optimise your listings. Feel like James Bond with Zack’s favourite Spy Tools. 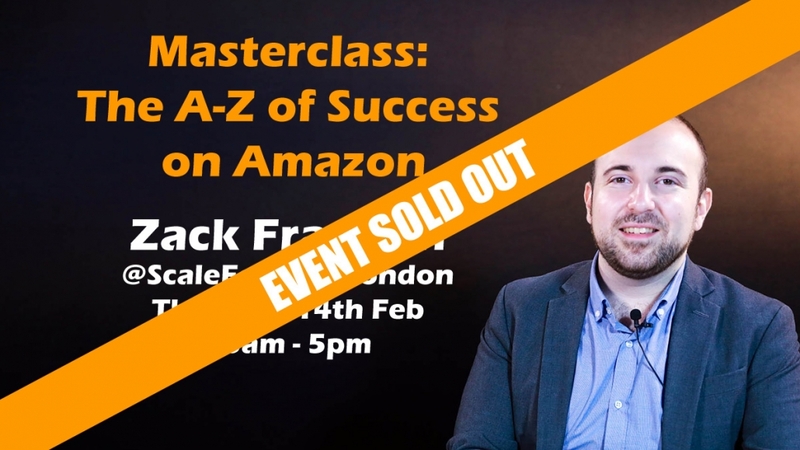 This is a unique opportunity to spend a full day with Zack, learning from the master about how to scale your Amazon businesses better and faster than the competition. There will be plenty of time to ask questions and get the answers you need to move your business forward.